Dr. Greenberg has over 20 years of clinical practice, helping couples and individuals with their personal problems. Her mission is to help individuals rediscover their inner strengths, resilience, voice and energy. “Being a witness to their growth has fueled my belief in the human potential to create successful, fulfilling and loving lives within our homes, and the larger world,” said Greenberg. She plans to use the $300 scholarship to assist a young married couple who have been working hard in therapy. They’ve been married for a couple of years and would like to start a family, but each of them would like to be on more solid footing with each other before bringing a child into the relationship. The problem is that as insurance changes they are uncertain about continuing. She would like to offer them the scholarship to support their continued work. And also to remind them that although there is not adequate support in this country for marriage, there are people out there who stand behind and with them as they go through their challenges. 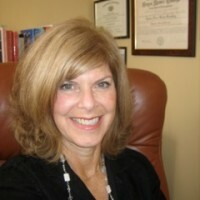 Click here to read more about Sandra’s practice located in Bryn Mawr.